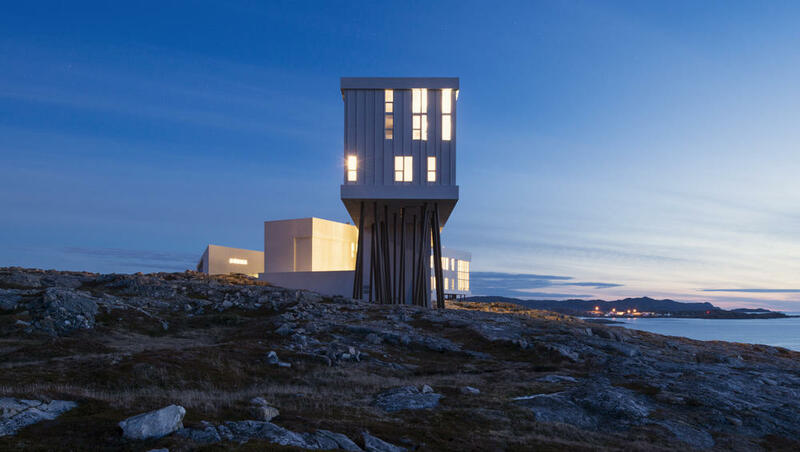 “Fogo island Inn has an international reputation for exceptional, embodied, place-specific hospitality and bold, thoughtful, humanistic contemporary design. The background story. So inspirational. 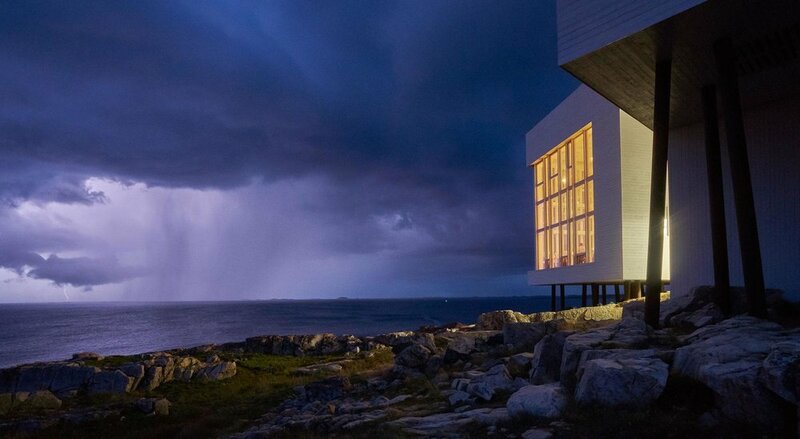 After garnering acclaim in the tech industry Zita Cobb went back to her childhood island home to help transform the local economy, which was struggling due to the collapse of the fishing industry. She describes her contributions as “a study in how to make a rural place relevant.” Brilliant. The concept of seven seasons. 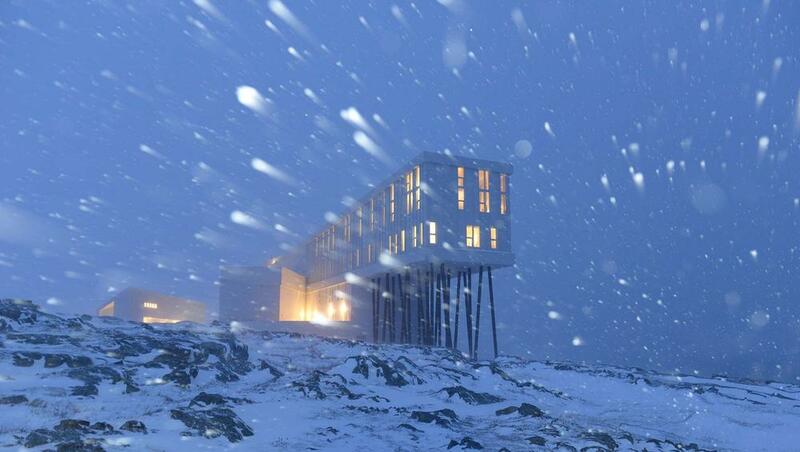 There is no off-season on Fogo Island. “Spring, trap berth, summer, berry, late fall, winter and ice pack” seasons are each compelling in their own right. The significance of the project. 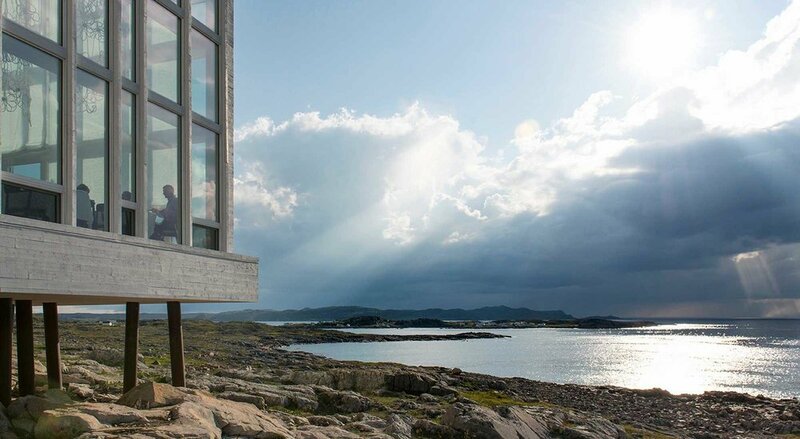 On a remote island of 2000 inhabitants, Zita Cobb has created an environment where world-class architects, leading international contemporary artists, gifted local crafts people and design-loving visitors can rub shoulders and exchange ideas. The project shows how important one small island can be to the bigger island we call earth. Cozy rooms with floor-to-ceiling windows. It’s super difficult to make rooms with this much glass feel warm and inviting. Kudos to the architect, interior designer and local crafts people who achieved comfort coupled with such amazing views. Well done! The light touch of the building. Numerous narrow columns perch the main mass of the building above the delicate coastal landscape. Simple. Lovely.